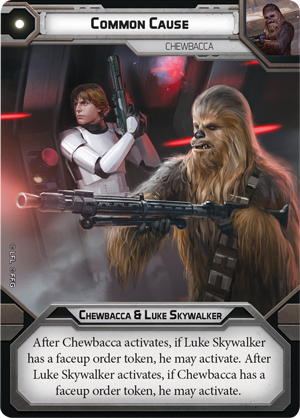 If he’s working closely with another trooper unit, Chewbacca can use this ability to cancel three hits from a ranged attack made against his companion. 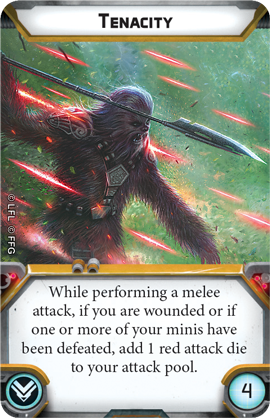 Although this could result in Chewbacca taking some damage himself, this only makes him stronger. 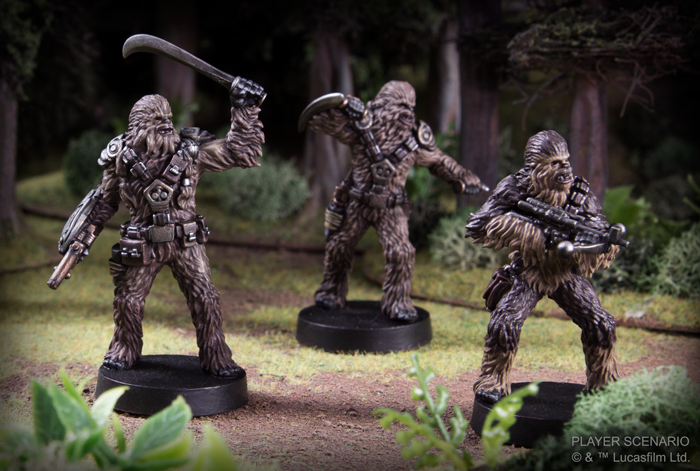 Once he has four or more wound tokens, Chewbacca's mighty rage is unleashed, granting him the ability to charge at an enemy and perform a free melee attack. 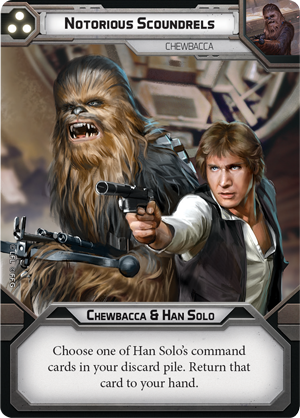 Chewie may have the tightest relationship with Han Solo, but that doesn't mean his team-ups with other heroes are any less effective. 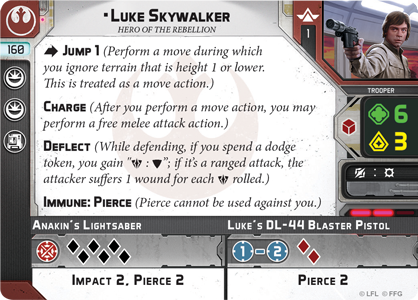 If he joins up with Luke Skywalker to fight for a Common Cause, for example, the pair activates one after another to make a quick and powerful push. 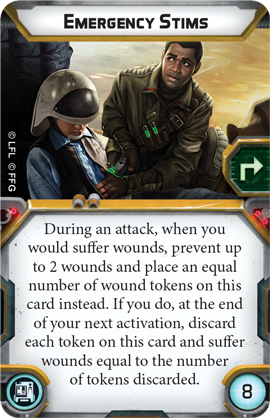 Not only does this card give you a good shot at winning priority, it also gives you the chance to unleash two powerful heroes before your opponent has a chance to react. 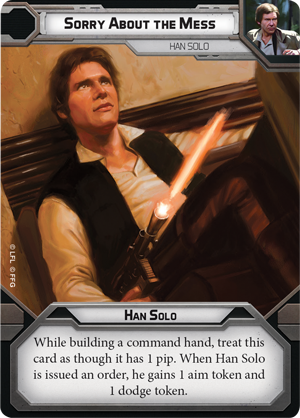 Finally, when combining his strength with Leia Organa’s superior planning abilities, both can team up for an impressive display of both Brains and Brawn. 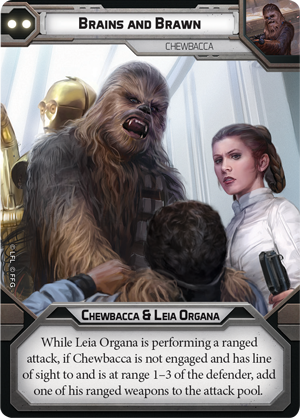 Firing three black dice from her Sporting Blaster, Leia Organa already has a powerful ranged attack. 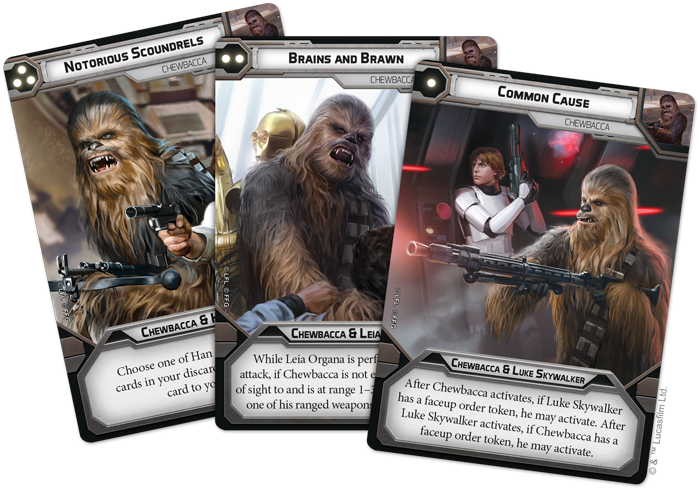 But if Chewbacca is in the right position when this card his played, he can add his bowcaster to the attack pool. 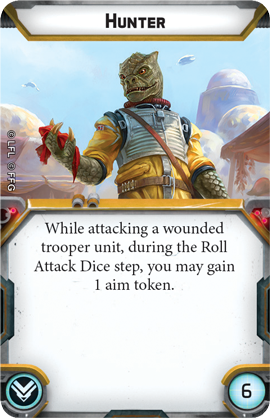 Better yet, the four dice Chewie contributes to this attack also gain the benefit of Leia Organa's Sharpshooter 2 ability for a potentially devastating strike. 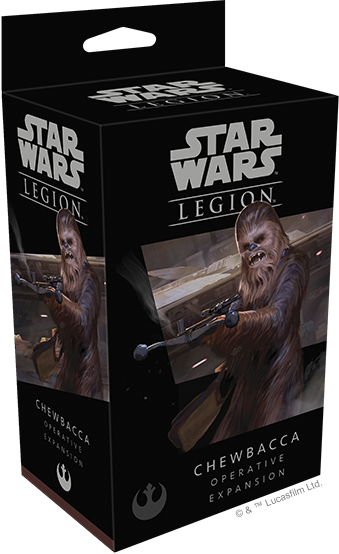 Look for the Chewbacca Operative Expansion (SWL24) and the Wookiee Warriors Unit Expansion (SWL25) to release together in the fourth quarter of 2018! 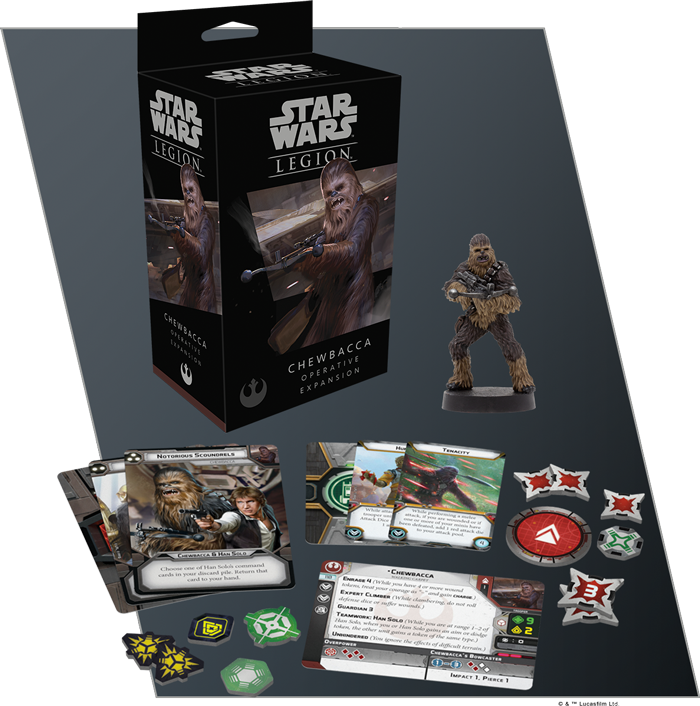 You can pre-order your copy of the Chewbacca Operative Expansion at your local retailer or online through our website today.